Hi there!!! I'm back again with a fun card for this week's Stamping Bella challenge which was all about Blinging it up. I decided to ink up Kiss me a fool for the first time and had fun playing with it. I needed a wedding card for a friend of my parents and thought this would be perfect. 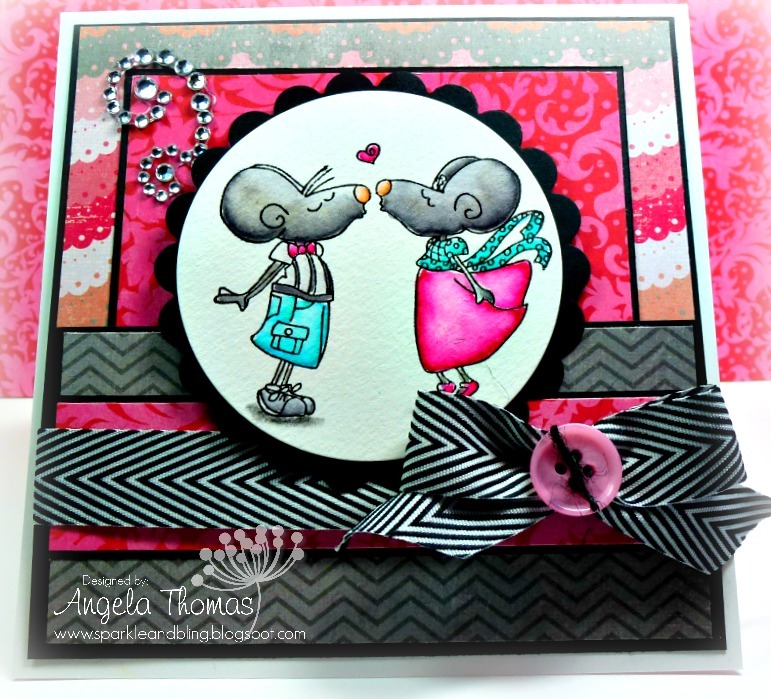 I stamped the image with Versafine Onyx Black, embossed with clear embossing and watercolored with Tombow Markers. Next week's challenge is a sketch!! Love it!! Ready to play along with the next Bellarific Friday challenge? Head to the blogabella to see next week's theme! 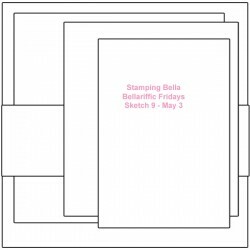 Email Emily (emily@stampingbella.com ) with your entries by the end of Thursday, May 2nd to see your project on the blogabella and to be eligible to win $10 Bella Bucks to the Stamping Bella Store! !